Country living at it's best! 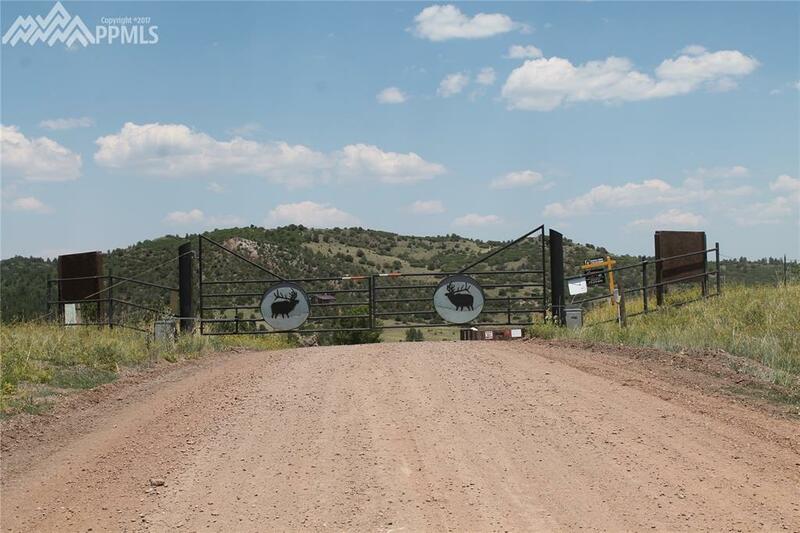 113+ acres situated in a private gated community at South-T-Bar Ranch offers irrigation/water rights, (2) year-round creeks and 1 seasonal creek. Approximately 20+ acres previously used for hay production. 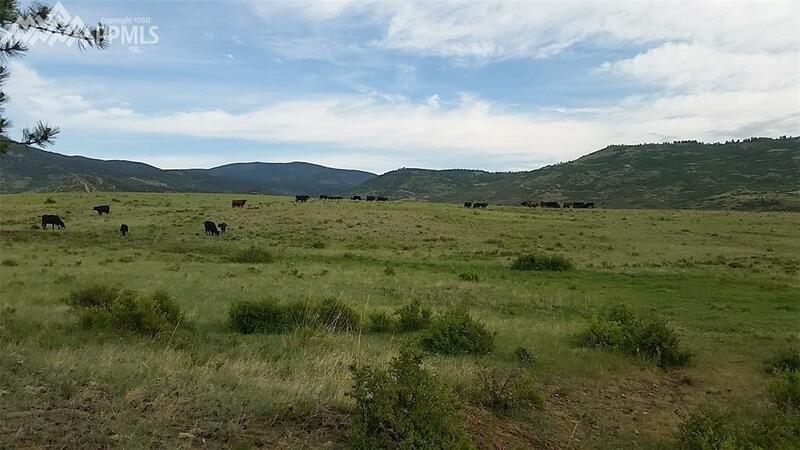 The ranch as a whole consists of approximately 5200 acres offering spectacular views of sweeping valleys, towering Ponderosa pines, Aspen groves, Pikes Peak, and the majestic Sangre De Cristo mountain range. Set up RV temporarily or build your dream home/cabin and enjoy the serene outdoors. 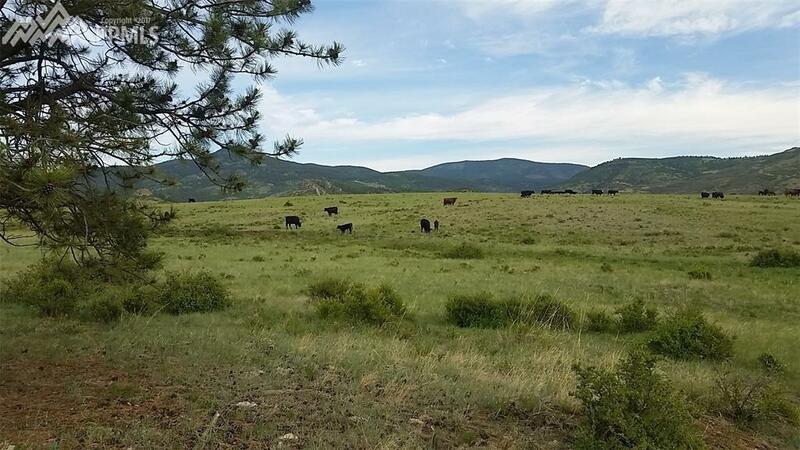 Protective covenants maintain property values with minimal restrictions and a grazing lease keep property taxes low. Access points to thousands of acres of BLM property. Even if your property does not adjoin BLM, as a property owner you can use these two access points to explore the wonders of Devil's Hole (also known as Big Hole and Echo Canyon). 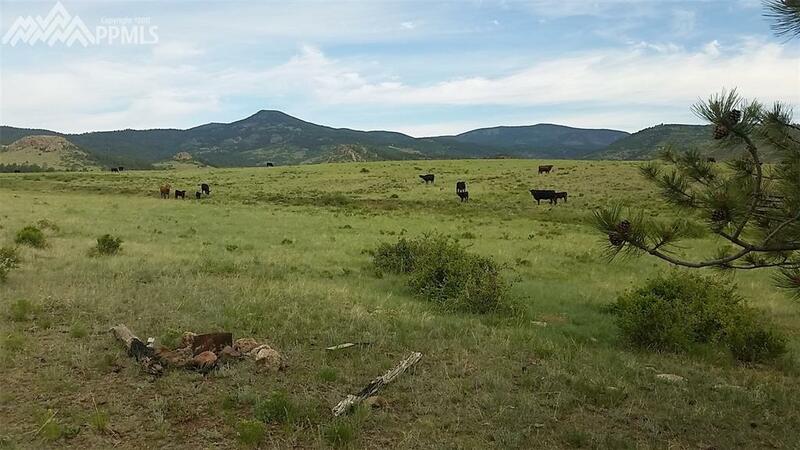 Critters like Elk, mule deer, antelope, bear, mountain lion, lynx, bobcat, coyote, turkey, eagles, hawks, prairie dogs, and badgers can all be viewed roaming about this abundant land. Enjoy hiking, hunting, wildlife watching, horseback riding, and/or ATV riding. Just 2 hours from the Colorado Springs Airport and 3 hours from the Denver International Airport. For nearby excitement, the Arkansas River provides fishing and white water rafting. The river is within 30 minutes of the ranch or if you prefer a lake to play on, the 11-mile reservoir is just 30 minutes to the north. Monarch ski area (some of the best powder in the area) is only 1 hour to the west and Breckenridge and Keystone are 2.5 hours to the north. Combine that with all the attractions of CaÃƒÂ±on City and the Royal Gorge, and you'll never be bored! It's time to enjoy the country life!!! Contact your Realtor or me for a private viewing!